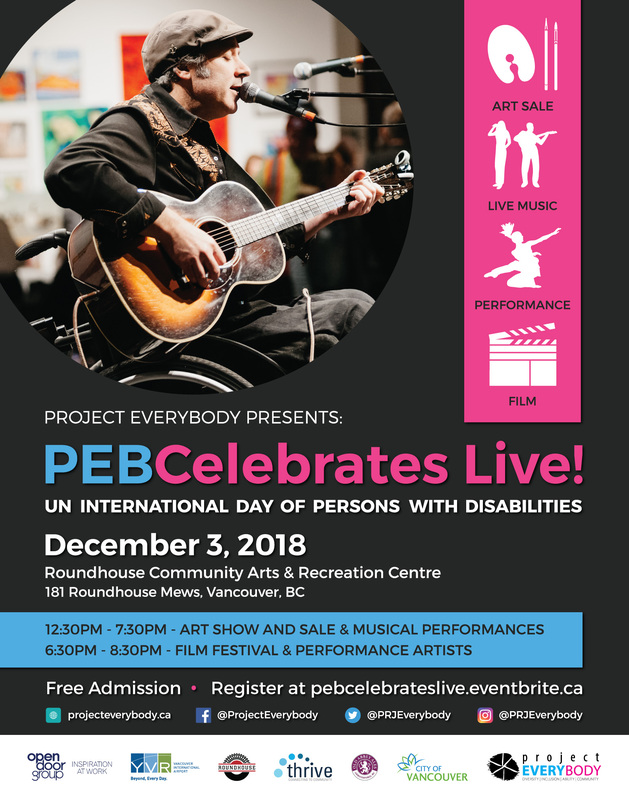 Self-advocate Teresa Pocock’s new music video, “Born to Represent”, will be showcased on December 3, 2018 at the evening Film Festival/Performance of PEBCelebrates Live: The premier event in Vancouver to recognize and celebrate the UN International Day of Persons with Disabilities. In addition to debuting her short film, Teresa will be exhibiting her art and signing copies of her books, “Totally Amazing: Free To Be Me” (2018) and “Pretty Amazing: How I Found Myself in the Downtown Eastside” (2016). Join us at Project EveryBODY’s PEBCelebrates Live! on December 3, 2018 as we observe and celebrate the UN International Day of Persons with Disabilities. PEBCelebrates Live! is proud to feature an Art Show and Sale during the day on December 3rd, while the evening program will include short films, dance, and other exciting live presentations. 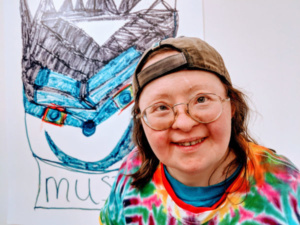 This event is family friendly and free to the public, and you will meet local and international artists whose creative gifts and personal stories will inspire you. Whether it is done through; music, art, performance, comedy or something else, there is something for EveryBODY at PEBCelebrates Live! Accessibility Features: The venue is fully wheelchair and walker accessible, and Vocal EYE and ASL interpreters are available on site.